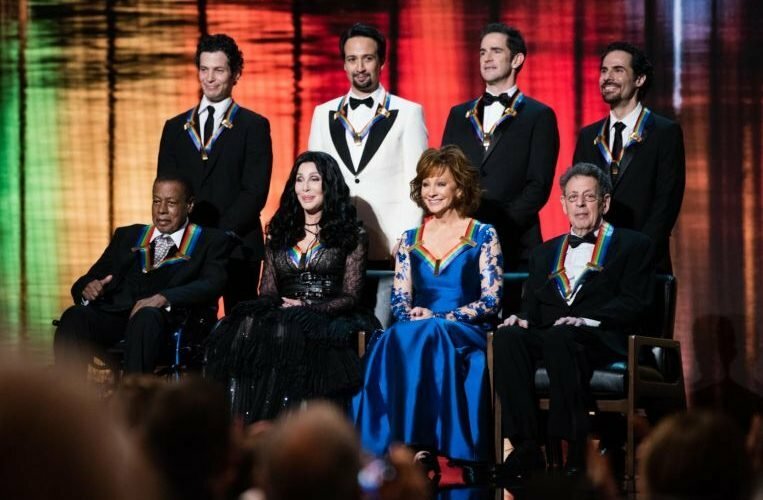 WASHINGTON (Reuters) – Cher, Reba McEntire and the creators of the Broadway musical Hamilton gathered in Washington on Sunday (Dec 2) to enter the ranks of highly celebrated artists as recipients of the Kennedy Centre Honours. Cher, the Oscar-winning actress and pop icon, and McEntire, a country music singer and songwriter who has acted on stage and television, joined jazz musician Wayne Shorter and composer Philip Glass to receive the awards, which recognise a lifetime of contributions to the arts. The Kennedy Centre also gave the creators of Hamilton with a special award for a “transformative work that defies category”. Though celebrities and high-ranking Washington politicians attended the annual gathering, President Donald Trump and his wife, Melania, stayed away for the second year in a row. Among the highlights, singer Kelly Clarkson sang a rousing rendition of Fancy in a tribute to McEntire. Singer-songwriter Paul Simon heralded Glass as the most influential composer of modern times. Then a group of stars finished off the evening with a tribute to Cher. Cyndi Lauper sang a rousing version of If I Could Turn Back Time. Cher, surprised to see Lauper, yelled from her seat in the balcony of the theatre that she thought the singer told her she was going to Los Angeles. “I lied,” Lauper said back from the stage.